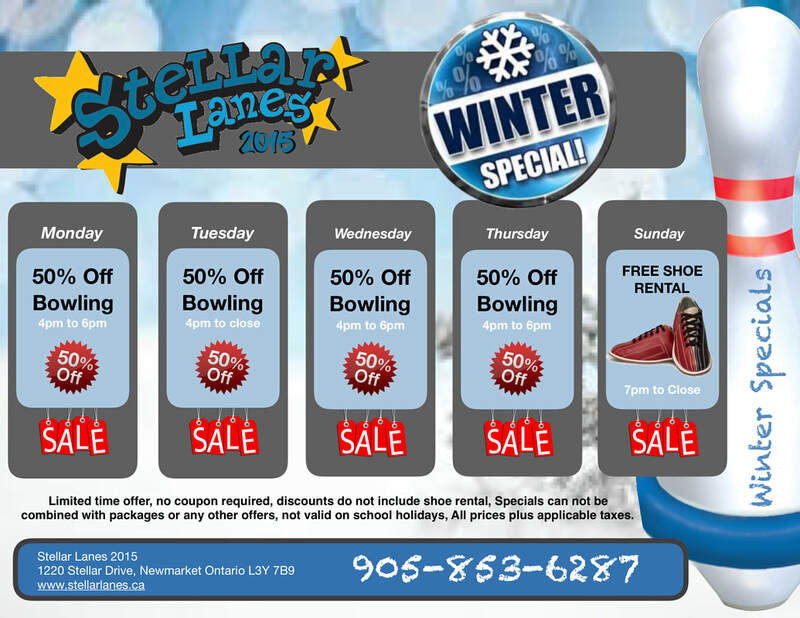 Stellar Lanes - The Largest 5 Pin Bowling Centre in York Region now offering 10 Pin! Skill based games now at Stellar Lanes! 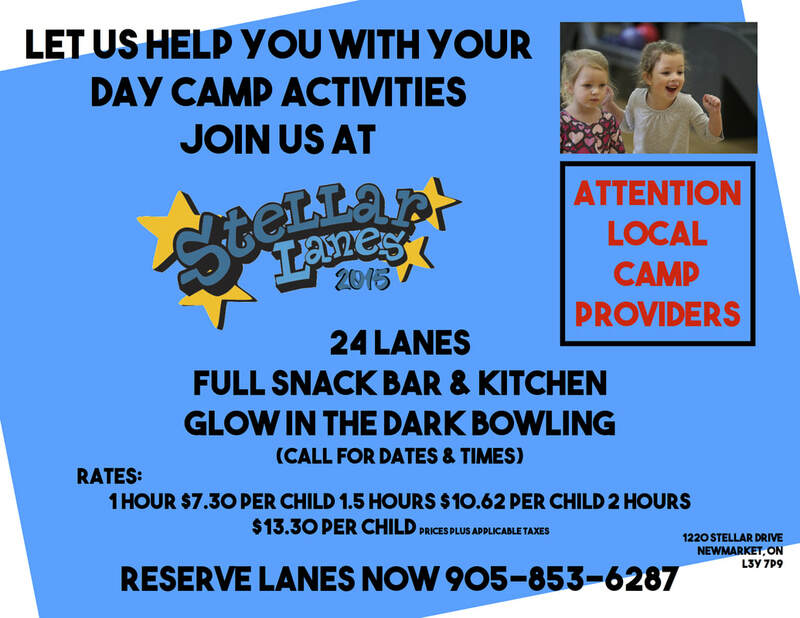 Stellar Lanes is the largest bowling Centre in York Region. 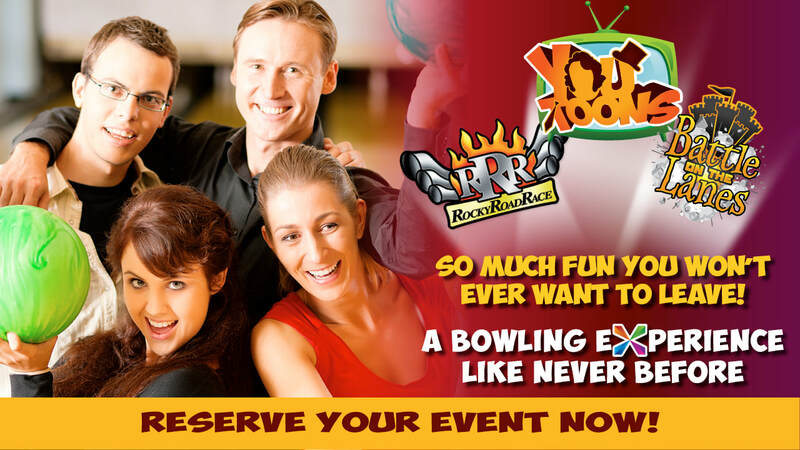 Our facility offers 18 lanes of 5 pin & 6 lanes of 10 pin bowling for all types of events. Glow in the Dark Bowling is available Friday, Saturday and Sunday. Lots of fun for family and friends. 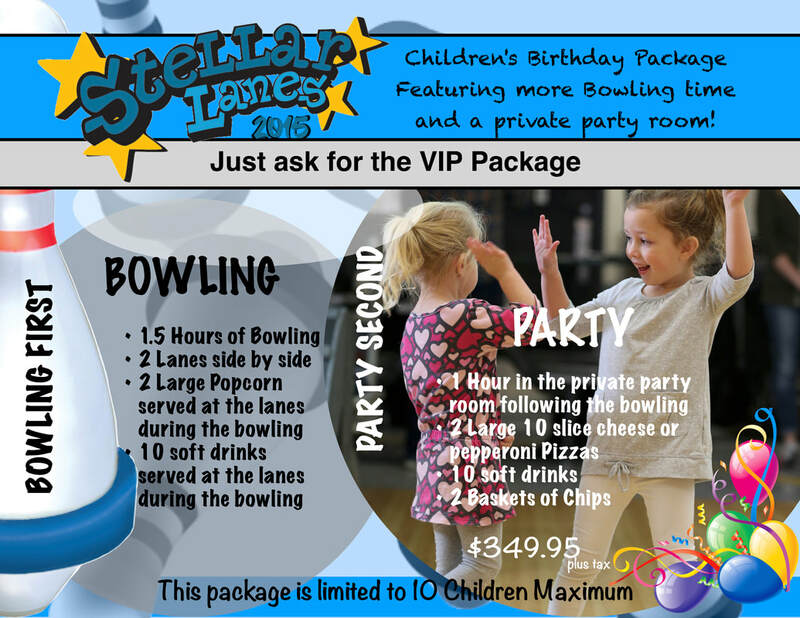 Stellar Lanes is open for public bowling every day, all day. Public bowling is available during league bowling times. Please call to reserve your Lanes to guarantee your time. All public bowling is time based bowling priced per lane. ​Looking for a gift for family and friends? 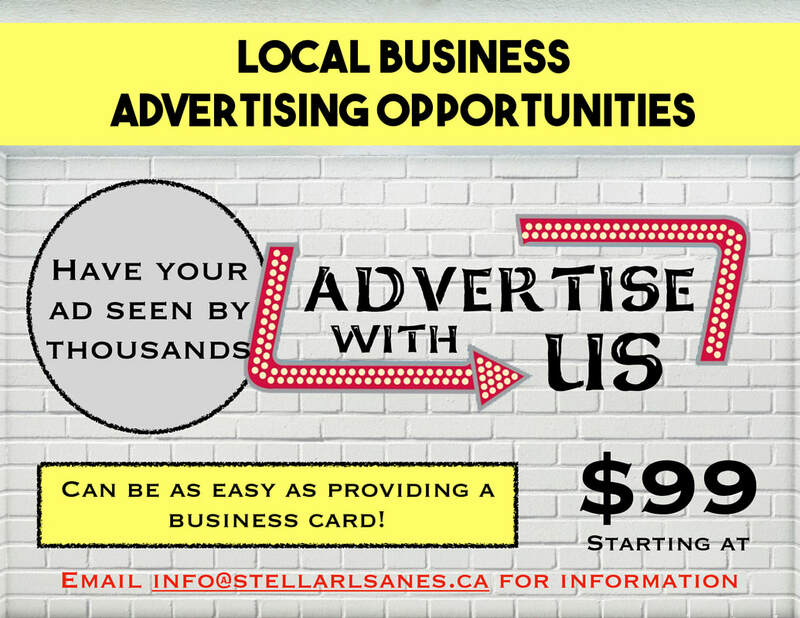 ​Gift cards are now available at Stellar Lanes. Come in and see our staff to purchase yours today! Winter Specials ending soon, Summer specials coming! 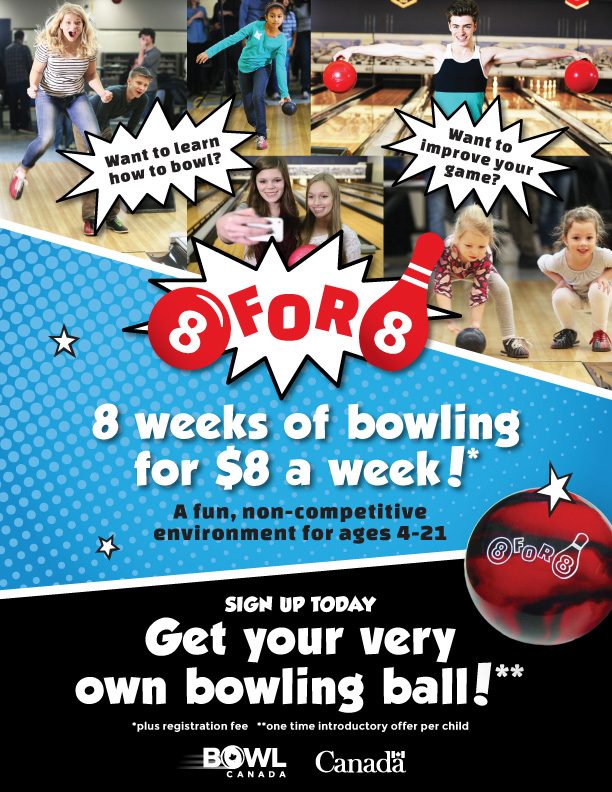 8 for 8 Program now offered Saturday mornings! ​Start as soon as this Saturday ! 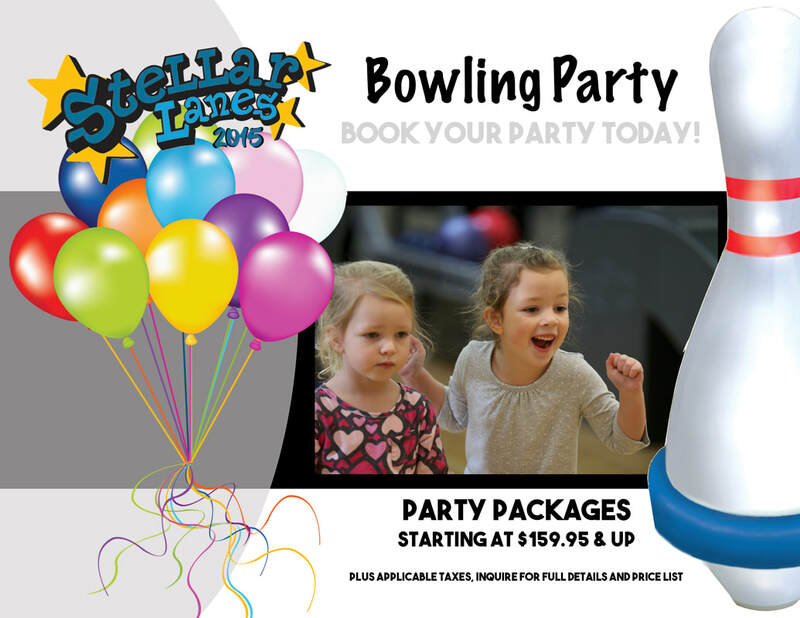 Stellar Lanes is Proud to be awarded the Top 25 most popular Kids activities in York Region 2 years in a row.